Surrey RCMP are releasing video of a suspect fleeing after he sexually assaulted a female real estate agent at an open house in late April. Police are also asking for help identifying the suspect the victim managed to fight off. They say she didn’t know her attacker and she wasn’t injured in the incident. The attack took place near 128th Street and 92nd Avenue. A photo shows the suspect running northbound on 128th Street after the incident, and surveillance video shows him heading westbound on 92nd Avenue. In his late 20s to mid 40s. Five feet five inches to five feet eight inches tall. Brown eyes and a dark brown, well-groomed beard. 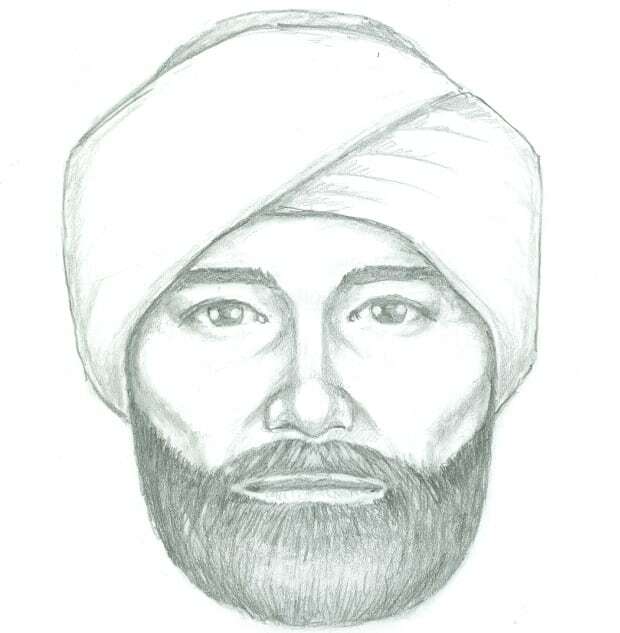 At the time of the attack he was wearing dark pants, a light shirt, and light grey jacket and a white turban. Police say their investigation continues to be a top priority. They have spoken to residents of the area where the assault took place and are conducting a forensic examination. Officers also say they’ve been in touch with real estate companies to ensure safeguards like a buddy system are in place.